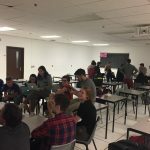 The team has moved on from the design process and each subsystem has begun their respective builds. The team has worked hard to foster a collaborative environment, allowing members to get involved in any subsystem they are interested in. 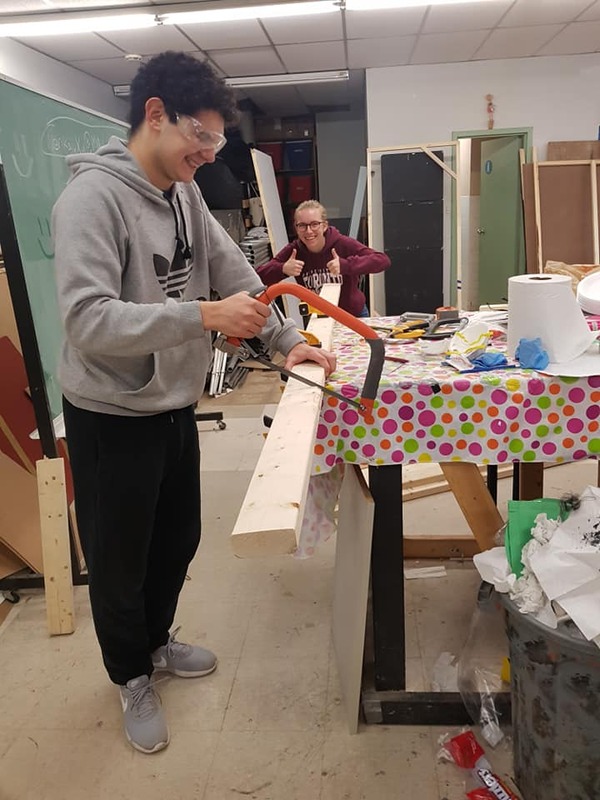 The Technical Exhibition (Tech-Ex) team is hard at work creating the walls of the crate that will be used to ship our toboggan and display our painted murals during competition at the Tech-Ex event. These past few weeks, the team has been building the walls and then will be moving on to priming the walls for paint. Once the crate is built and primed, the team will then move onto designing the other aspects of the Tech-Ex including games and the toboggan stand. The Tech-Ex event allows all teams to show off their designs and having a both informative and interactive Tech-Ex that is well-designed is crucial in the team’s success at the competition. As mentioned in the previous newsletter, this year’s theme is “Neanderbog: 10,000 Before Concrete” and the team has designed a costume that will fit that prehistoric time. The Theme team is currently in the process of acquiring goods for the team’s costumes at competition. They have been collecting measurements from the team, doing fabric estimates, and will be then going out to buy the fabrics and accessories. Once the supplies have been bought, they can then move on to sewing the costumes together. With these costumes, we will definitely be looking like one cohesive Stone Age team at the competition! The Media Branding side of the team is focussed on designing the team’s Stone Age theme logo. The final logo will be used throughout the competition and on the team’s swag, including on t shirts and patches. Stay tuned for the next newsletter to see the final logo design! On the concrete side, the team is continuing to pour more mix designs for testing. Through the testing of the mixes, the Concrete team will be choosing a mix for the final competition. The team is also in the process of finalizing ski shapes to test. The ski shapes will be 3D printed and then tested on real snow, to simulate the environment of race day at the competition. Additionally, the team is currently figuring out how to reinforce the skis and exploring sustainable and innovative rebar products. The team has begun fabrication of the male mould of their shell. 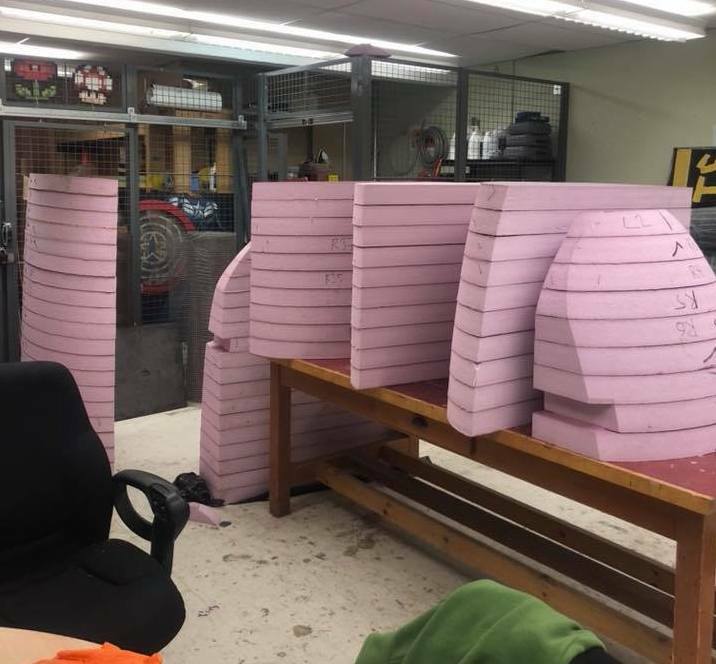 Using their own CNC machine, the team spent a week straight cutting up all the pieces of the mould out of foam. The pieces were then glued together and are currently being sanded down for a smooth finish. The team has also ordered all their materials, and look forward to doing their wet layups as well as pre-preg layup in the coming days.